TORONTO — The Canadian Football League (CFL) and German Football League (GFL) have reached an agreement to form a long-term strategic partnership designed to grow the game of football in both countries, it was announced on Thursday. “Our goal is to promote the sport and help players live their football dreams,” said Robert Huber, President of the American Football Verband Deutschland (AFVD). The agreement follows two days of discussion and information-sharing here in Canada’s largest city, home of the headquarters of the CFL. 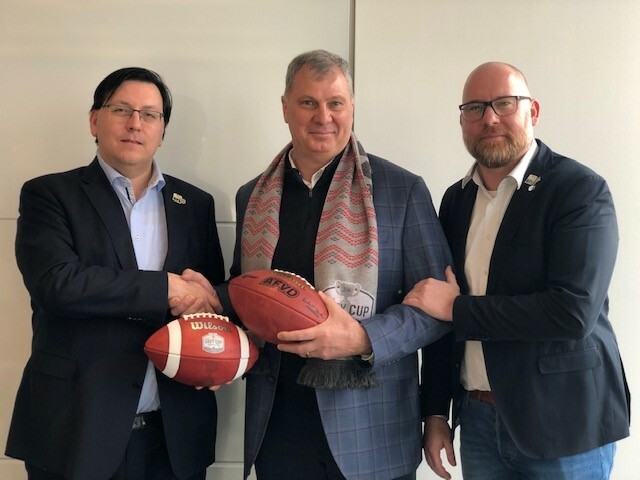 “We will share resources with the aim of helping each other on the football and business sides of our two leagues,” said Randy Ambrosie, Commissioner of the CFL. 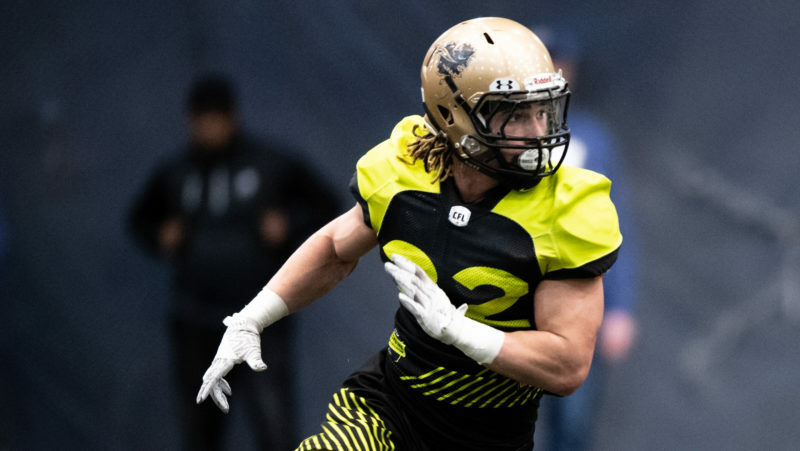 A first step will be the addition of select GFL players to the CFL’s National Combine this March, an event which already showcases top Canadian prospects from U SPORTS, or Canadian university football, Canadian Junior Football League (CJFL) and the National Collegiate Athletic Association (NCAA). “Work on this will begin immediately,” Ambrosie said. The two leagues also discussed creating better pathways for more young Canadian players to continue playing in Germany once their university or junior football careers have ended and for aspiring German football players to gain an education and opportunities to play the game they love in the Canadian university system. The Canadian Football League has nine teams playing in what is widely acknowledged as the top league in the world outside of the United States. Its championship game determines the winner of the Grey Cup, which has been awarded since 1909. The German Football League features 32 teams playing in two separate divisions or tiers, with the top 16 competing for a berth in its championship, the German Bowl. 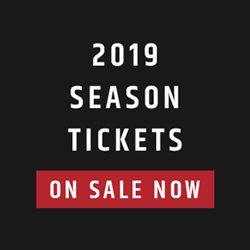 It sits atop a rapidly growing national system of gridiron football that boasts 450 club teams and 65,000 members, often described as the deepest and most advanced in Europe. “We are confident this partnership will benefit both leagues and football in both countries,” said Carsten Dalkowski, Chairman of the American Football Verband Deutschland (AFVD). 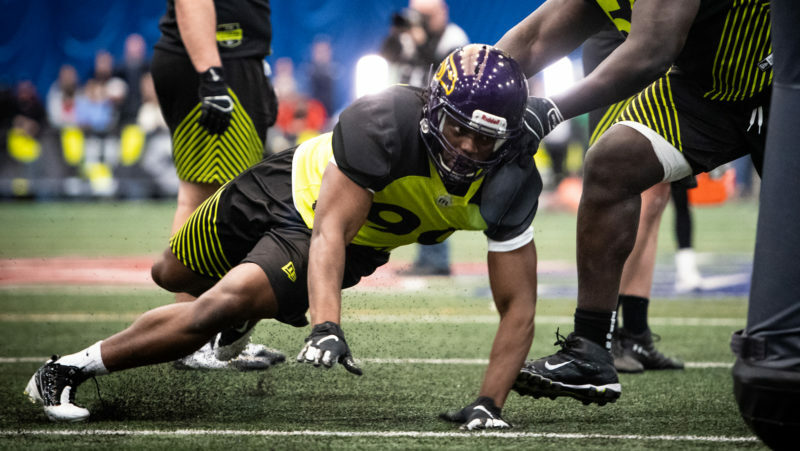 The Canadian league has embarked on a mission — Ambrosie calls it CFL 2.0 — to increase its international footprint, talent pool and business opportunities while growing the game in Canada and around the world. It recently held a Combine and Draft in Mexico in partnership with that country’s pro league, the Liga de Futbol Americano Profesional (LFA). Ambrosie also has meetings scheduled next week with other leagues across Europe. 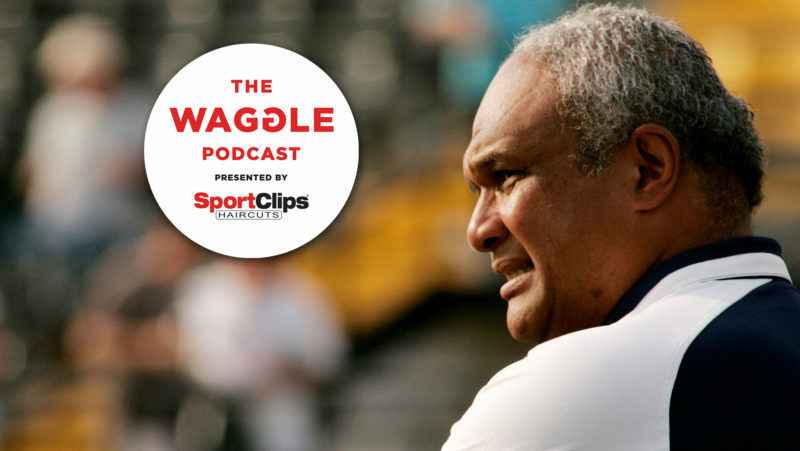 “Gridiron Football is played and thriving in more than 30 countries,” said Ambrosie.